Industrial Cleaning Services for your Facility - Lloyd's Electric Service, Inc.
Industrial cleaning services include construction cleaning. 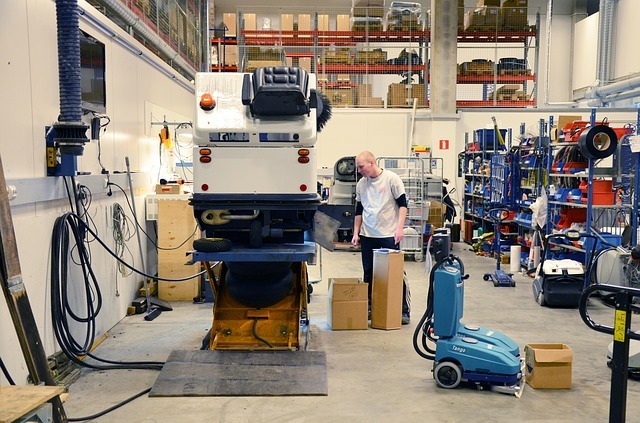 A good industrial cleaning services company also provides steam cleaning service for commercial solutions. Industrial cleaning services from LES Facility Service, a division of Lloyd’s Electric Service, Inc. agree that hiring a facility maintenance company that provides commercial cleaning services as well is smart and affordable. In addition to industrial cleaning, LES Facility Service also has a team of electrical, plumbing, landscaping, painting, construction, and parking lot lighting experts on hand for all of your maintenance. With so many tasks handled by one company, you can’t afford not to work with the team from LES Facility Service. Construction debris is annoying. Similarly so is industrial cleaning. If hazardous waste is an issue, you will need a company that can haul it away safely and securely. HAZMAT training is crucial when it comes to hazardous waste materials. Other issues, such as electrical and plumbing also need to be considered when it comes to facility cleaning. If your facility maintenance company is not equipped to handle a problem with your lighting system while conducting a thorough cleaning, you may be in trouble when it comes time for an inspection. Most commercial cleaning companies charge more for a steam cleaning service. In addition, they just might sub your job off to another local commercial cleaning company. With LES Facility Service, you get one invoice for your commercial cleaning and your construction cleaning. LES Facility Service sends all of your facility maintenance services in a single invoice. For good old-fashioned customer service and professional facility maintenance, call LES Facility Service. It pays to be smart when it comes to your business. Call for a quote from LES Facility Service today.